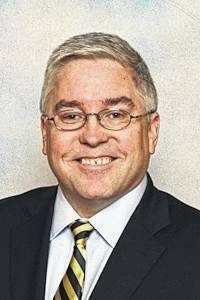 CHARLESTON, W.Va. — West Virginia Attorney General Patrick Morrisey released a list of the top consumer complaints received by the Attorney General’s Consumer Protection Division for Calhoun, Gilmer, Jackson, Mason, Pleasants, Ritchie, Roane, Tyler, Wirt and Wood counties in 2017. The list is assembled from written consumer complaints filed with the Consumer Protection Division. The tally does not include phone calls from consumers who did not follow up with a written complaint. It also does not include reports of scams. The 2017 top complaint categories for the Mid-Ohio Valley were: 1. Internet Services, 2. Repairs-Used Vehicles, 3. Telephone Services, 4. General Sales, 5. Satellite Equipment & Service, 6. Cable TV, 7. Cell Phone Devices/Services, 8. Home Repairs, 9. Major Appliances. The Attorney General encourages consumers to educate themselves about their rights and responsibilities so they do not encounter similar issues. Automotive and motor vehicle complaints, the top statewide category since 2014, fell by 11 percent in 2017, allowing communication complaints to take the top spot from second a year earlier. Though the list does not include scams that issue remains the most frequently reported consumer issue. The Attorney General warned consumers they should always be wary if a business uses high-pressure sales tactics, refuses to put terms in writing or demands the consumer surrender personal information, such as a Social Security number or banking information. Consumers who believe they may have been the victim of a scam or taken advantage of should contact the Attorney General’s Consumer Protection Division at 1-800-368-8808, the Eastern Panhandle Consumer Protection Office in Martinsburg at 304-267-0239 or visit the office online at www.wvago.gov.